age or any situation that it may arise. have a duty to help anyone in need. the level of performance needed to demonstrate achievement of the element. skills) that are essential to performance. we can organized to be here before commencement of your course. 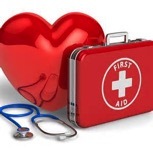 FIRST AID certificate or it can be mail to you.